From a humble start in 1995, Mr. Jay Davidson launched a three-ambulance service from his home in Burien, WA. As Tri-Med became known for its can-do approach to serving the community, area hospitals and fire departments turned to Tri-Med exclusively to provide ambulance transportation for the populations they serve. Today, Tri-Med has exclusive contracts with multiple Fire Departments. 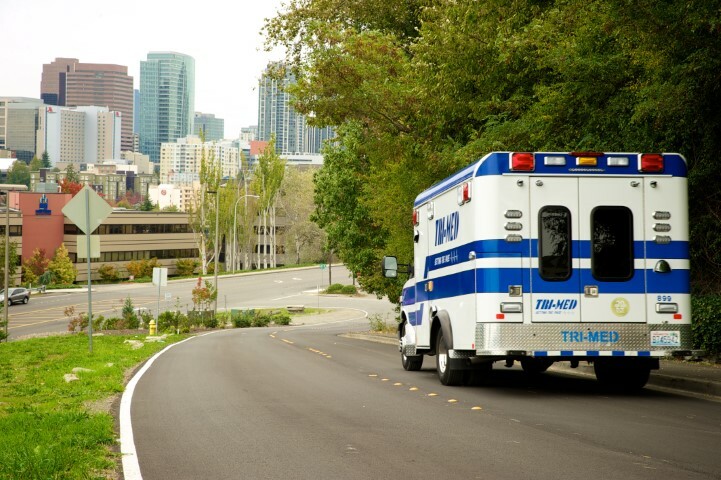 Our fleet of over 35 ambulances are deployed throughout the Puget Sound in communities including Bellevue, Renton, Kent, Auburn, SeaTac, Burien, and Tukwila to name a few. Each of the organizations we serve views us as active partners in the delivery of medical care. To support this expectation, Tri-Med staff supplements their training with focused instruction in fire department relations, discharge planning, teamwork training, crew supervision, human resource management, dispatch, patient care, safety, and billing services.